The Hebrew word Sheol and the Greek word Hades are sometimes translated hell. We examined them at length in Part Two. They do not tell us anything about the final state of nonbelievers, since they only concern the intermediate state. Another Greek word, Tartaroo, is a verb that means to send to Tartaros. Tartaroo only appears once in 2 Peter 2:4, where it says angels are delivered to chains of darkness reserved for judgment. Humans go to Sheol/Hades and angels go to Tartaros. Traditionalists get a lot of information about Tartaros from uninspired writings, though Biblical evidence is very limited. Sheol and Hades tell us nothing about the final state for nonbelievers; Tartaros tells us even less since it talks about angels. Geena is the only word for hell that talks about nonbelievers at judgment. Jesus uses this word several times and James uses it once. In Mark 9:43-48, Jesus uses the word Geena and says, "Where their worm does not die and the fire is not quenched." This phrase also appears in Isaiah 66:24. We will now inspect these passages. When Scriptures support conditionalism, traditionalists insist the Bible passages only talk about the body. They make the opposite mistake with the above Scriptures. Isaiah talks about the corpses of men, indicating dead bodies. Mark also talks about your hand (v. 43), your foot (v. 45) and your eye (v. 47). Matthew 5:29-30, similar to Mark 9:43-48, warns about your whole body being cast into hell. Nevertheless, traditionalists still insist this is talking about a soul that cannot die. "Their worm does not die" means worms will continue eating their bodies until nothing remains. While this expression appears in Isaiah 66:24 and Mark 9:43-48, John the Baptist also warns about an unquenchable fire (Matthew 3:12, Luke 3:17). Traditionalists believe this fire will never go out. The Biblical evidence, however, supports utter extinction. The fire was not quenched because it turned Jerusalem to ashes before it stopped burning. After it went out, Jerusalem was later rebuilt. Saying the fire will not be quenched shows how powerful this fire will be. It is very difficult to burn flesh, so people must add fuel to keep the fire going. Many areas in the world are littered with half burned bodies of animals because people could not keep the fire burning long enough. This fire will burn nonbelievers to ashes (2 Peter 2:6, Ezekiel 28:17-19). If they continue burning, they would be called embers or burning coals, not ashes. Isaiah 47:14 says, "It shall not be a coal to be warmed by, Nor a fire to sit before!" Malachi 4:3 also says they will be ashes under the soles of your feet. If they were still hot, we would not touch them with our feet. The Bible calls the unfaithful stubble (Malachi 4:1), trees (Matthew 3:10), chaff (Matthew 3:12), tares (Matthew 13:40), and other matter that burns up quickly. Gehenna refers to the Valley of Hinnom, near Jerusalem. This valley was a massive garbage dump with the dead bodies of humans and animals. God calls it the Valley of Slaughter (Jeremiah 7:31-8:3, 19:1-13). Maggots and worms covered the dead bodies and the smell was so bad they started a fire to burn the carcasses. These events explain the phrase, "Their worm does not die and the fire is not quenched" in Isaiah 66:24 and Mark 9:43-48. All flesh either rotted (their worm does not die), or burned up (the fire is not quenched). Nothing remained of their original bodies. As we saw in the previous chapter, believers will forget about the unfaithful. Isaiah 66:24 says believers will look upon their corpses, so this cannot be the final state. How can the faithful forget about nonbelievers while still looking at them? The only logical explanation is that believers will watch them waste away, then forget about them. Our examination of hell in the Bible sheds new light on this critical passage. Since Jesus says God can destroy both body and soul in hell, the debate hinges on the meaning of the words destroy and hell. The Greek word translated hell in this passage is Geena, so it concerns the final state. Since Jesus does not use the word Hades, He is not talking about the intermediate state. Although traditionalists claim destroy only means a ruined condition, this does not fit Matthew 10:28. In Geena, every cell of the body was decomposed, digested by worms, or burned up in fire. We would have to violate laws of science to destroy the body any more completely! Since Jesus warns that God can destroy both soul and body in Geena, God will destroy the soul as completely as the body. The Valley of Hinnom was a graphic example of complete destruction. If Jesus wants to warn about endless misery, He would tell us to fear Him who is able to preserve the soul in hell. 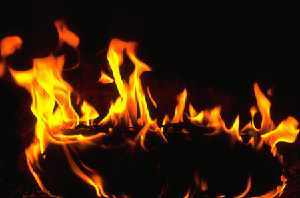 Although the lake of fire is not translated hell in the Bible, it is similar to the Greek word Geena. The lake of fire appears five times in the Bible, all in Revelation. Each reference talks about who will be in it. When Christ returns, the beast and false prophet go into it (19:20). After the millennium, Satan goes into it (20:10), followed by death and Hades (20:14), then nonbelievers (20:15). Revelation 21:8 reiterates the fact that nonbelievers go into it. Revelation 20:14 and 21:8 refer to the lake of fire as the second death, and this death is the wages of sin (Romans 6:23). References to the lake of fire talk about burning fire and brimstone. The crucial question is whether or not this burning continues throughout eternity. We will now examine two common arguments for the traditional viewpoint. The beast and false prophet are cast into the lake of fire before the millennium (Revelation 19:20). Satan is cast into the lake of fire after the millennium and the beast and false prophet are still there (Revelation 20:10). Many scholars use these verses to show that consciousness in the lake of fire is eternal, since it continues for 1,000 years. This first beast mentioned in Revelation 13 is more than an individual, since it has seven heads and ten horns (Revelation 13:1). The seven heads represent seven hills and seven empires, while the ten horns represent ten kings (Revelation 17:9-12). This beast cannot be just an individual. It is a religious and political system. Daniel 7 also talks about this beast with ten horns. In verse 8, he talks about a little horn coming up in the midst of the ten horns, which has eyes and a mouth of a man. If this horn alone were cast into the lake of fire, it would represent an individual. The entire beast is thrown into the fire, not just this little horn. When Christ returns, the beast and false prophet are thrown into the fire. One thousand years later, Satan deceives the nations to attack and God destroys them (Revelation 20:7-9). The beast and the false prophet are not mentioned among these nations because they are already destroyed. Just as the beast and false prophet are not individuals, death and Hades are not individuals, yet they are thrown into the lake of fire (Revelation 20:14). Death is the last enemy to be destroyed (1 Corinthians 15:26), and death is thrown into the lake of fire (Revelation 20:14), which is the second death (Revelation 20:14, 21:8). Yet there will be no more death (Revelation 21:4). This confusing language is filled with symbolism, and we must be careful not to rely too much on figurative language. Traditionalists claim this last reference to the lake of fire proves it is everlasting. John talks about the new heaven and new earth in Revelation 21:1-2, then talks about nonbelievers in the lake of fire in verse 8. Assuming this is all chronological, traditionalists conclude nonbelievers will still be in the lake of fire after we have the new heaven and new earth. This implies there is no end for nonbelievers. While all Scripture is inspired by God, verse and chapter breaks are not. The first five verses of Revelation 21 should be in Revelation 20, since this continues the vision in the same verb tenses. There is the judgment, then everything is made new and the old has passed away. This chapter break diminishes the clear support for conditionalism, since the lake of fire is the second death (20:14) and there will be no more death (21:4). A more logical chapter break is Revelation 21:6. Verb tenses change because this is a reiteration, instead of a continuation. Verse 6 reaffirms Christ, while verse 7 talks about future rewards and verse 8 talks about future punishments. Verses 7-8 are similar to many statements offering us the choice between life and death (e.g. Romans 6:23, John 3:16). We covered some arguments for the traditional view in this chapter, and we will address the main ones in the next chapter.